Why more segments? And what does “verified” mean? 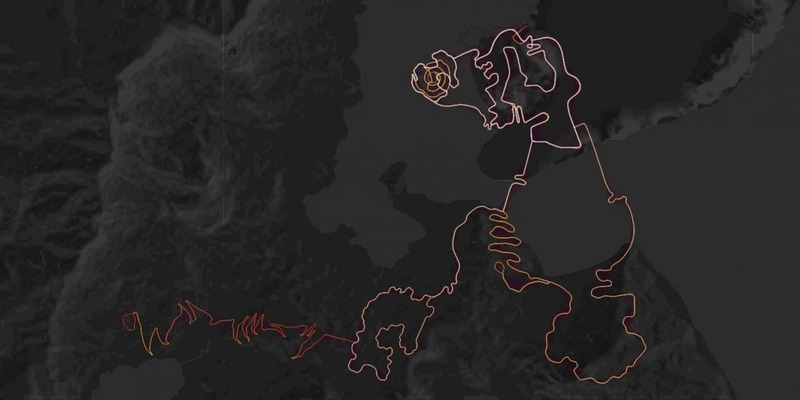 Zwifters have created a lot of Strava segments. Some are logical and accurate, but most are not. Titles sometimes make sense but often confuse things further. Keeping track of them all becomes very intens (sic). We’ve created numerous Strava segments (all listed below) and labelled them Zwift Insider verified. We verify the start and end points of these segments with our automated Zwift bot. Strava now requires segments to be over a certain length, and thus will not let us create the NYC sprint segments because it says they’re too short. Help us out by chiming in here if you want to see Strava fix this! 4/23/19: New Watopia routes added thanks to Fuego Flats expansion! Added Fuego Flats Forward Sprint (Zwift Insider verified), Fuego Flats Reverse Sprint (Zwift Insider verified), Bigger Loop (Zwift Insider verified), Tempus Fugit (Zwift Insider verified), Tick Tock (Zwift Insider verified), The Über Pretzel (Zwift Insider verified), and Out and Back Again (Zwift Insider verified). Also added Four Horsemen from Start Gate (Zwift Insider verified). 4/22/19: added Four Horsemen (Zwift Insider verified) now that Strava fixed their segment creator tool so we can create long segments! 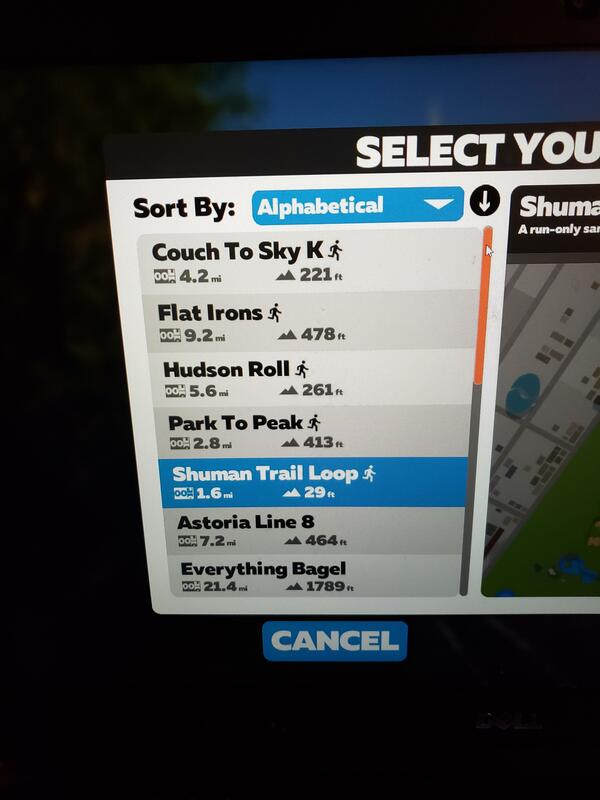 2/11/19: added route detail page and Strava segment links for NYC KOM After Party: NYC KOM After Party (Zwift Insider verified). 2/11/19: updated Richmond flat segments. Deleted the old segments (Flat Route 1 Lap and Flat Route 1 Lap from Start Banner) because they didn’t use the sprint banner as the start/end point, which is what Zwift is doing for rides using these routes. Added the new segments, Flat Route 1 Lap (Zwift Insider verified) and Flat Route 1 Lap from Start Banner (Zwift Insider verified). Also created a dedicated page for Richmond Flat and Richmond Hilly. 1/16/19: added Volcano Circuit Lead-In from Start Banner (Zwift Insider verified) and Volcano Circuit CCW Lead-In from Start Banner (Zwift Insider verified). 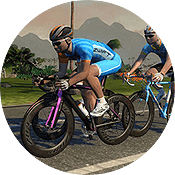 1/7/19: added Keith Hill After Party from Start Banner (Zwift Insider verified) and Volcano After Party (Zwift Insider verified), both custom routes introduced for Tour de Zwift. 11/2/18: created new segments for Mighty Metropolitan and Park Perimeter “Pens to Banner” segments in hopes that only rides starting from the NYC pens will pick up these segment, with subsequent laps picking up the banner to banner segments. Created a banner to banner segment for the new Watopia Figure 8 Reverse route as well. 10/24/18: added the 11 ride/run routes from the new NYC couse, as well as the KOMs. 4/9/18: added Alpe du Zwift descent segment, plus list of segments between (almost) all of the Alpe bends. 4/1/18: added Four Horsemen route segments. 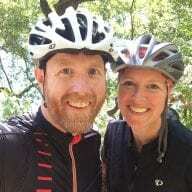 We had to break this up into multiple segments due to Strava limitations, so we broke it up into three segments of roughly equal length: Four Horsemen Part 1 – Start to Epic KOM (Zwift Insider verified), Four Horsemen Part 2 – Epic KOM to Alp du Zwift KOM (Zwift Insider verified), Four Horsemen Part 3 – Alpe to Finish (Zwift Insider verified). 3/31/18: added Alpe du Zwift (Zwift Insider verified), Road to Sky (Zwift Insider verified) and Tour of Fire and Ice (Zwift Insider verified) segments. 2/10/18: updated link to Greatest London Flat forward segment to reflect route change from Zwift in last week’s update. 2/3/18: added new Watopia route Mega Pretzel Forward (Zwift Insider verified), plus two segments for the Greatest London Flat route. 1/18/18: created new segments for Watopia Epic KOM forward and reverse, since the start lines were changed in the latest update. 12/11/17: added Jungle Loop Forward and Jungle Loop Reverse segments. Awesome job. This is a great resource! Cheers. What’s the easiest way to hide segments in such a way that they stay hidden in future rides ? Have you compared Zwift times on these segments to Strava results? I looked back at a couple rides and notice that the resulting time differs from the screenshot of that ride. Yes. Unfortunately, these segments are about as accurate as we can possibly get them due to how Strava creates and segments (and possibly also due to how Zwift records your position data). When creating the segments Strava, as you move your start and end points for the segment they don’t move continuously–they move in increments. So you can’t always put the point in precisely the spot you want. Also, keep in mind Strava works with whole seconds, while Zwift does not, so there are rounding issues. With all that said, if you notice a segment that is significantly off please let me know, as there could be an actual error there. But I’ve checked them multiple ways now, so there shouldn’t be. I have a problem. I rode both, Watopia and Richmond a hundret times. Unfortunatly I am not listed in some of your segments. For example, I am not in the UCI Worls segment, not in the Broad St Sprint etc. but I did this course in all directions and variations so often! And no, the segments are not hidden, I checked that… I am not listed in the overall rankings! Any idea what problem this might is? For some reason, Strava isn’t going back into historic Zwift sessions and pulling data into these new segments. It does that for real-life rides, but isn’t doing it for these virtual rides. How is it possible to see the beginning and end of a segment while riding in Zwift? I noticed that in some videos on Youtube (mainly FTP tests) an announcement appears that signals the start of a Strava segment. There’s no way to do this from within Zwift. Great job! This makes Strava so much more useful now. Thank you! I don’t believe anyone kan ride to the top with a average at 40,6 km/h..!?!? Is there any kind of filter? My friend had a Elite and drove ALWAYS 20% faster than me. Now he has bought a Tacx Neo, which I also have .. both of 100%. Now I run 10% faster than him! I don’t believe so, either. I would encourage you to Flag anyone on leaderboards who is obviously not calibrated correctly. This should remove them from the leaderboard. Of course, it is a virtual world and not reality. People change their weight or I suspect they ride rollers and input a trainer to get an inhuman wattage curve. And to be fair, some may just err. Some records are set with a heart-rate in the 100-120 range. Others have a watt average over 400, but their outside wattage is between 100-200. Zwift does help regulate race results with ZADA which can request real-world outside wattage to compare, but everything is unconfirmed with Strava. I’m sure it will only get worse if Zwift introduces 650 wheels (of which no company makes indoor trainer tires). It’s a shame that there is no way to exclude people on rollers from the tables, if I was to give some of the individuals times any benefit of the doubt. Top 2 people on the flat course have identical times on the same date, with a steady cadence and power for the hour. This has been an immense help, thank you. Do you know whether there is an official Strava segment for the Esses section in Watopia? There isn’t a ZwiftBlog verified segment, no. Can’t wait for Volcano flat and criterium courses. Hope to see ‘official’ segments added. The link for “1 Lap: Volcano Circuit 1 Lap (ZwiftBlog verified)” is broken because there is an extra quote character in the link address. Is the Watopia Pretzel segments correct? riding the Pretzel normaly gives me arround 1350 hm, your segments just shows just over 500hm or am I missing something?? Yeah–the 500m is the difference between the lowest and highest elevation–not the total climbing for the route. Total elevation gain is 1,333m. This is a great resource for a new Zwifter like me. Thanks for all the information here on the site. Are you planning to add a verified segment for the ~4.8mi loop contained within the jungle circuit? The normal Epic KOM (Zwift Insider verified) also seems to be gone. Updated the links above (for forward AND reverse). Zwift changed the start points of these in their latest update, so the segments had to be updated. That’s disappointing because virtual segments don’t match rides before the segment was created so we’ve basically lost the history of all our previous attempts. Is someone trying to get their Segment more limelight by naming it the same as the Zwift Insider Segments? Which one is the “official” one? For the next update can you please start a changelog so it’s quicker to find the new ones I need to star? Good idea! Yes, I’ll do that. I rode the Mountain 8 route last night to the radio tower, but https://www.strava.com/segments/16784850 failed to register, saying I deviated at 95%. Is this a bug, or expected? This is caused by bad design by Zwift. The finish line for the epic KOM reverse is actually past the radio tower turn off, so if you do the radio tower you’ll lose the segment. However I’m sure the old Zwift Blog verified segment used to take this into account by ending the segment earlier than the in game segment? How does one actually ride the “Greatest London Flat – Extended Version (Zwift Insider verified)”? There is no course option for this in the London World unless I’m missing something. Are the segments also applicable to the running version of Zwift? No, but we’re working on a set of segments for Zwift Run. Probably releasing the initial list in a post in the next few days. Very helpful to have them all in one place, thanks. Just added them above, Patrick! I was trying to track the Tour of Watopia routes. They don’t seem to be in the above segments. Is that because they start at the starting pier? Any way these can be added to this list? Thanks!! Yes, it’s because they start from the start pier. We’ll try to get those segments created, but it’s more challenging since we have to join events at particular times to make it happen. Thanks!! I really appreciate these Zwift verified segments. Our strava group uses them ALL the time!! I see there’s a Fox Hill KOM OLD (Zwift Verified) and a new Fox Hill KOM (Zwift Verified). I’m assuming the newer one starts at the KOM redline in Zwift. Do you have any idea where the OLD one starts? Thanks! There is a Fox Hill KOM OLD and a Fox Hill KOM. I’m assuming the newer one starts at the red line and ends at the top banner. What about the OLD one? Any ideas where that starts? Does it end at the banner? Thanks! You’d have to look at the Strava segment to find out. I just know they moved the start line, hence the updated segment. Dec. 5 I chose and rode Watopia Figure 8 reverse in Zwift. Strava matched me to “Figure 8 Reverse OLD (Zwift Insider verified).” You have any idea why Zwift would throw me on the old route and not the new? Thanks. There’s an error with the Watopia Figure 8 segments. Figure 8 Forward (reverse direction) is not the same as Figure 8 Reverse (which came out in a recent update). I’m curious about where in zwift you find the actual Box Hill Climb segment (KOM) because I’m having trouble identifying it based on my times. I know you have it in Strava but it seems odd that the identical segment is not there in zwift itself. I have wondered this for a while now. Eric, Thanks for all the work you do to keep the site / info current. I was wondering if you’ll be adding the NYC run routes to the verified segment list, thanks. added Four Horsemen (Zwift Insider verified) now that Strava fixed their segment creator tool so I can create long segments! Sorry for my earlier message, it was a mistake. Perfect Four Horsemen in a single segment. There was a Four Horsemen segment from the Start Gate (https://www.strava.com/segments/19588586). Will you create it in a single segment too? And the segments of the new routes Medio Fondo and Gran Fondo (https://zwiftinsider.com/zwift-fondo-january/) would also be useful in a single segment each. Great. Thanks for your great work.